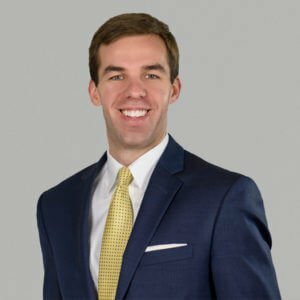 Charles L. Hicks, III is an associate attorney in the Raleigh Office of Cranfill Sumner & Hartzog, where he practices in the Workers’ Compensation Defense Group. Prior to joining CSH Law, Charles practiced for three years at a civil litigation firm in Raleigh, where he focused on construction litigation and commercial collections. In this position Charles shepherded cases through informal negotiations, Alternative Dispute Resolution forums, and all stages of the judicial adversarial process. Charles earned his law degree from Campbell University’s School of Law. While in law school Charles competed on the Moot Court team and held numerous internships in both the private and public sector. During his 3L year he was named to the list of “Who’s Who Among American Law Students.” Prior to law school, Charles attended the University of North Carolina where he majored in Business Administration.